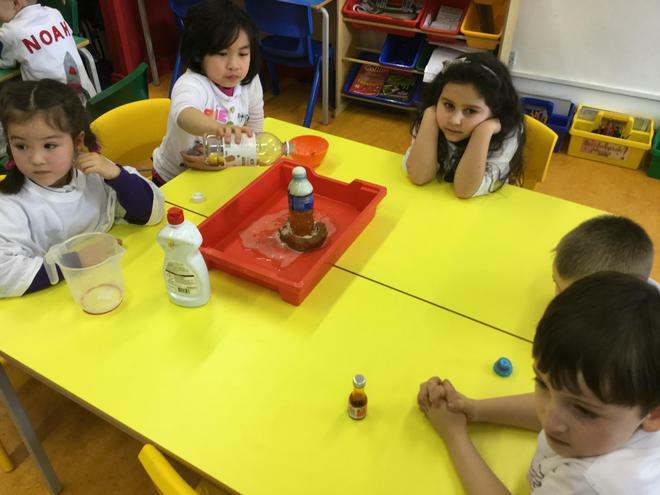 Our pupils are really enjoying our Super Science Week, and have been doing lots of fun experiments and exploring changes in chemical reactions. 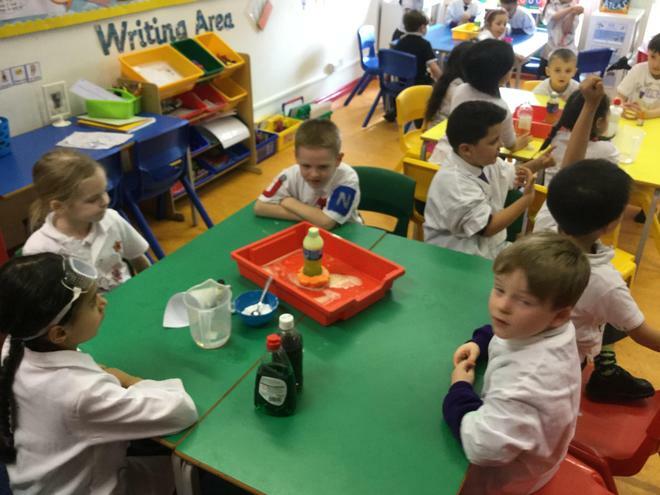 I think you'll agree, they look like Super Scientists in our Science t-shirts and lab coats! Thank you to all the parents and carers who helped to create these fantastic Science outfits! 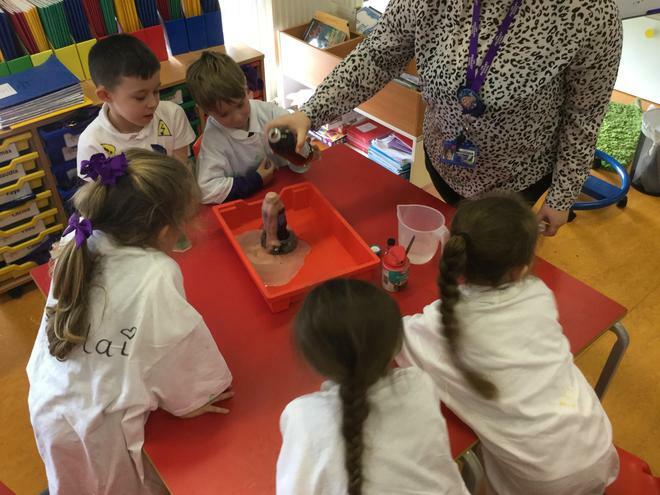 Here are some pictures of children in Year 1 making volcanoes explode using bicarbonate of soda and vinegar - it was very exciting!